Released the expanded second edition of Wild in Arizona: Photographing Arizona’s Wildflowers book, which then won three categories in the 2015 New Mexico-Arizona Book Awards: Best Travel Book, Best Crafts/Hobby/How-to Book, and the prestigious Best Book on Arizona. 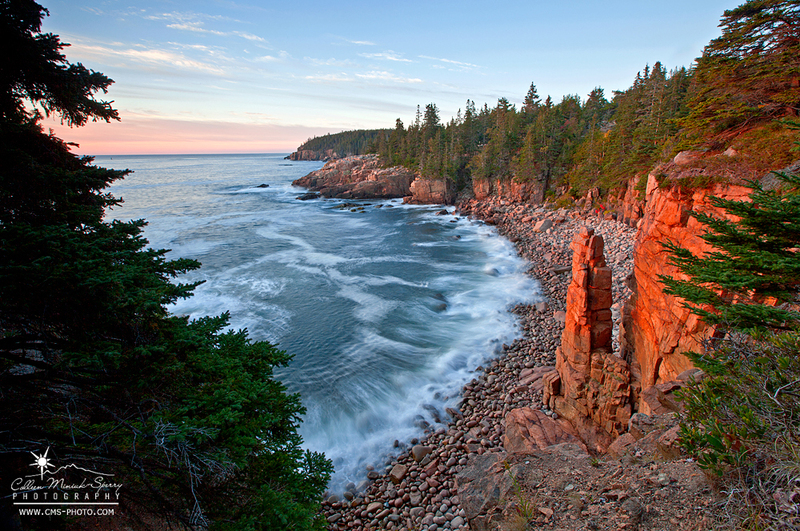 Reached over $1,600 in donations from the sale of Photographing Acadia National Park to the Schoodic Institute/Acadia National Park to help support the Schoodic Education Adventure program. Worked with a whole host of dear friends and new people in various photography workshops and camera club presentations across the U.S. Received the OWAA Outstanding Board Member award for the second year in a row. Introduced my poetry to the public via my blog. Getting the entire campground at City of Rocks National Reserve to howl with the coyotes. Camping and hiking around Lee’s Ferry with my parents during a spectacular wildflower bloom in the high desert. Listening to a thunderstorm pass while taking refuge in an alcove covered in ancient rock art. Staying up all night with my OWAA friends at the annual conference in Knoxville, Tennessee. Taking Lava, my favorite Denali National Park sled dog, on walks while visiting my awesome friends in the park. Swinging on an outdoor swing with my friends in Kananaskis Country in Alberta, Canada. 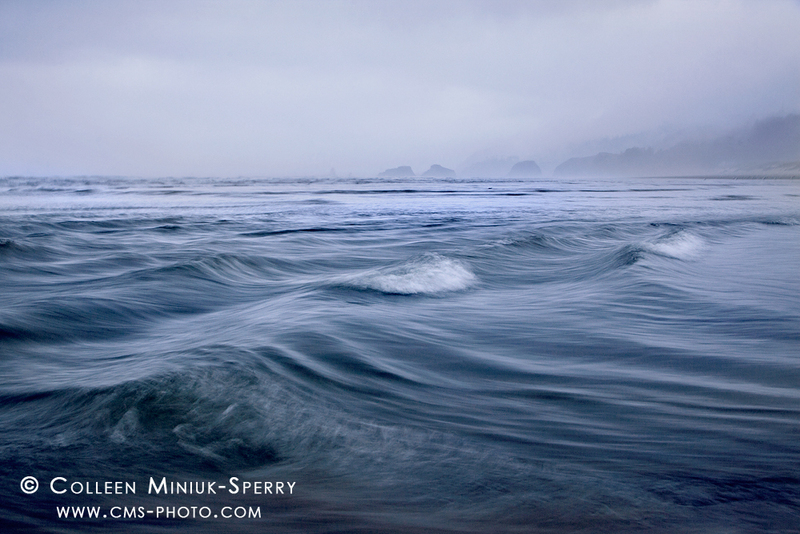 Outrunning waves on the beach with my AHPW Oregon workshop participants. High-fiving my brother while catching arctic grayling. Discovering beautiful new locations in Acadia, thanks to my local buddy. Playing poker with one of my best buds while camping in a snowstorm. 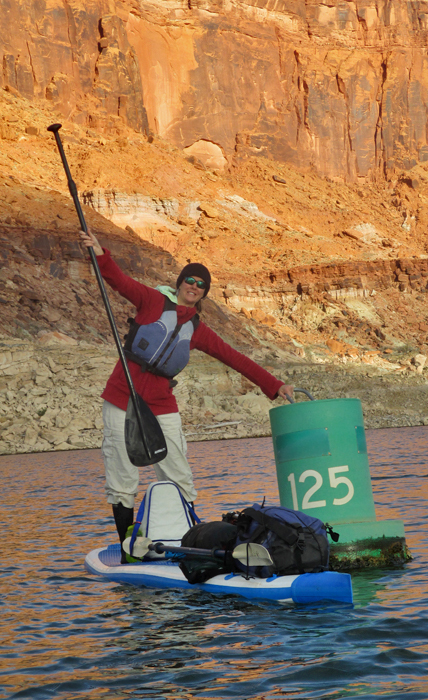 Paddling 40 incredible miles on Lake Powell with my mom. Before leading an Arizona Highways Photography Workshops at Watson Lake, I managed to sneak in a free day of my own photography. The view – and Arizona’s gorgeous sunset – didn’t disappoint. 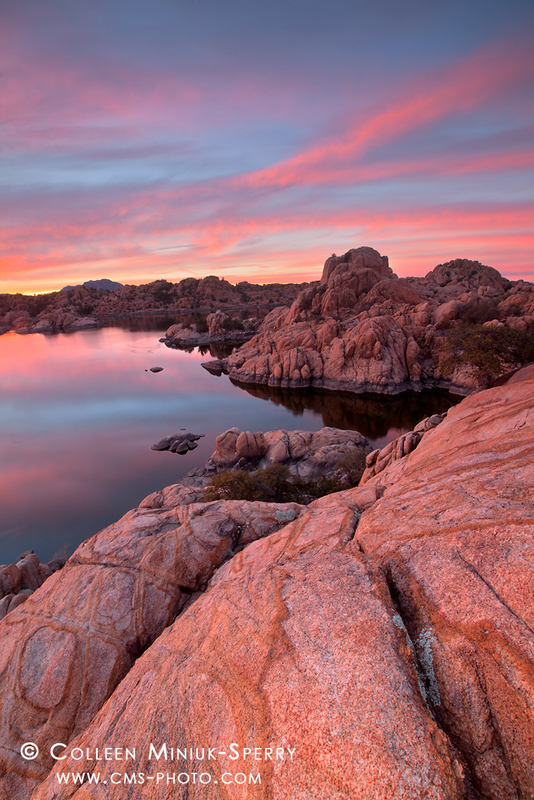 Read more about this image on my “Making the Image: Sunset Serenade at Watson Lake” blog post. 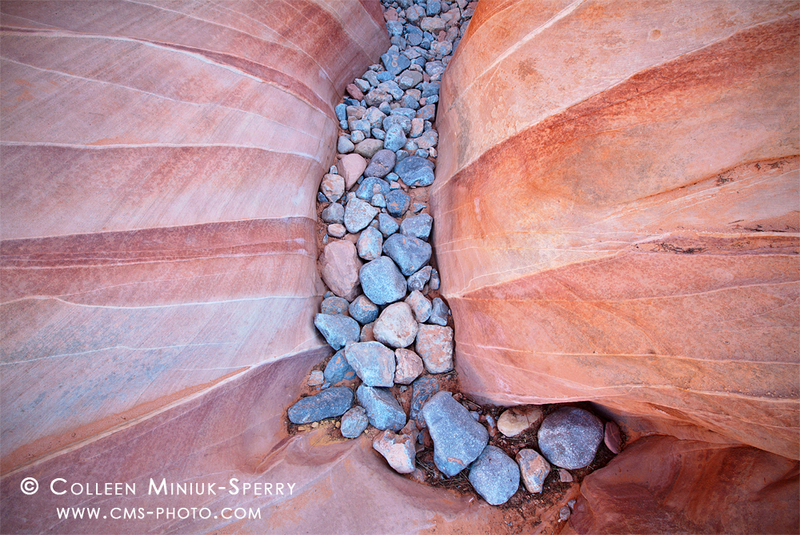 To see more photos from this geologically-fascinating place and hear some thoughts I had about photographing iconic places while visiting this park in February, visit my previous blog post “Icon (or Icon-not) Photograph the Icons in Valley of Fire”. Carl Washburne State Park has become one of my photographic “homes,” a completely nondescript location that speaks to me. 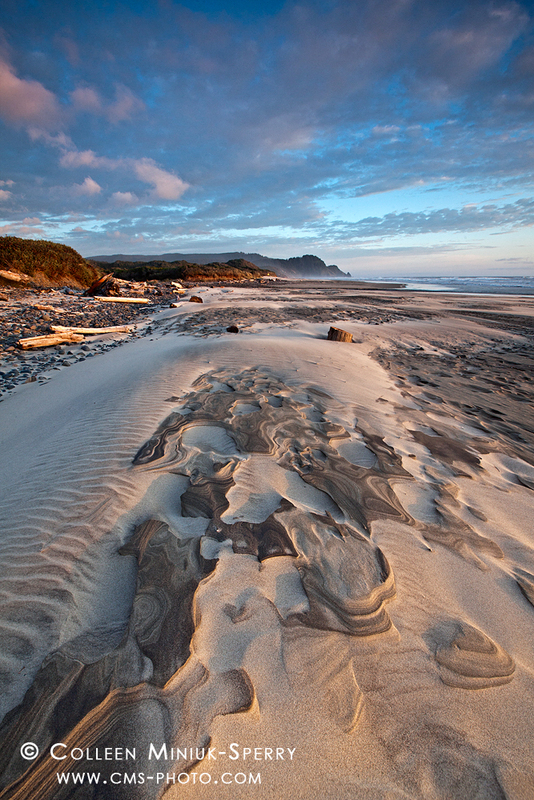 Even though I live in Arizona, I try to make it up to the mid-Oregon coast at least once or twice a year for extended stays to explore this lovely stretch of beach. It changes constantly and I love seeing the surprises it offers, like these wind-sculpted dried sand patterns beneath the sand dunes. When I stepped off the plane in Anchorage, Alaska to visit my friends, Jen and Michael, Jen surprised me and drove me straight to the Matanuska Glacier (given my love of ice, how nice was that?!). I think I walked maybe 100 yards from the parking area before I completely lost my marbles upon seeing the most intriguing ice mud I’d ever seen. While spending time with good friends, we made an impromptu stop at Mistaya Canyon. 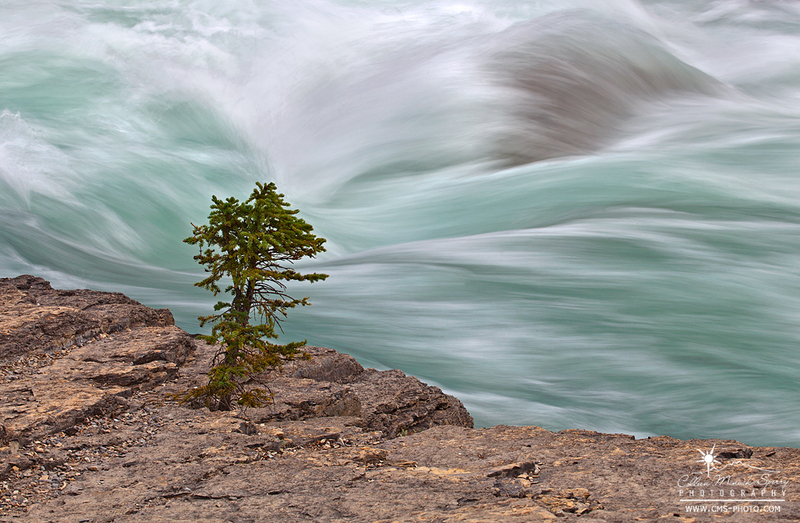 I wasn’t initially feeling inspired to make a photograph at this popular tourist location until I sat and watched this tree watch the river rage by it. By studying it, I was able to visualize and eventually create this image. In hopes of escaping the heat (and to formally discuss plans for a new collaborative book…), I headed to the cooler high elevations of the Henry Mountains with my good buddy and very talented photographer/writer, Guy Tal. 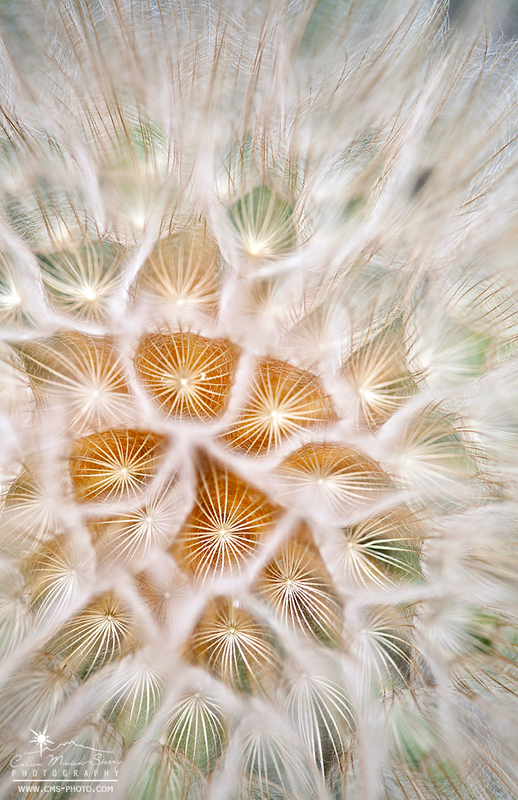 We stopped en route for a short break, but when I saw this beautiful yellow salsify I just had to photograph with my macro lens…so it became a very long break on the side of the dirt road…! Merely one day after I made “Joy in the Little Things,” we saw ample wildflowers while exploring the mountains, including this sego lily in unique form. 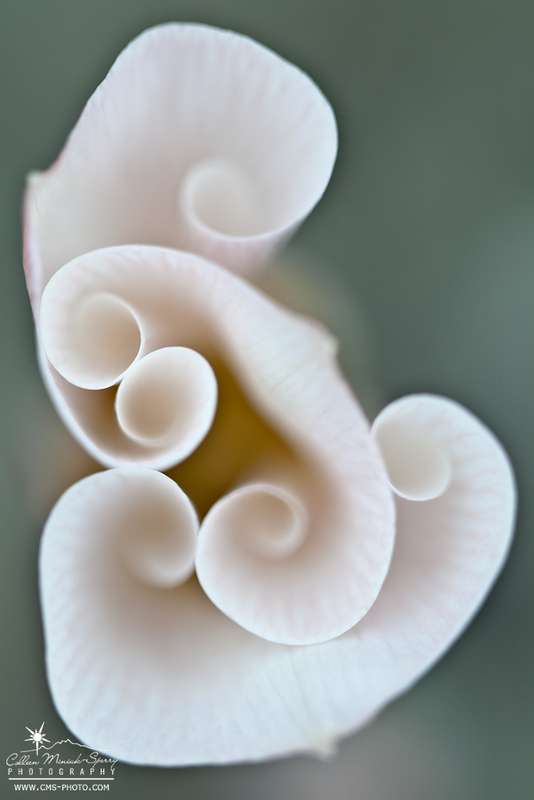 I tried to channel Georgia O’Keefe paintings when making this top down abstract/macro perspective. 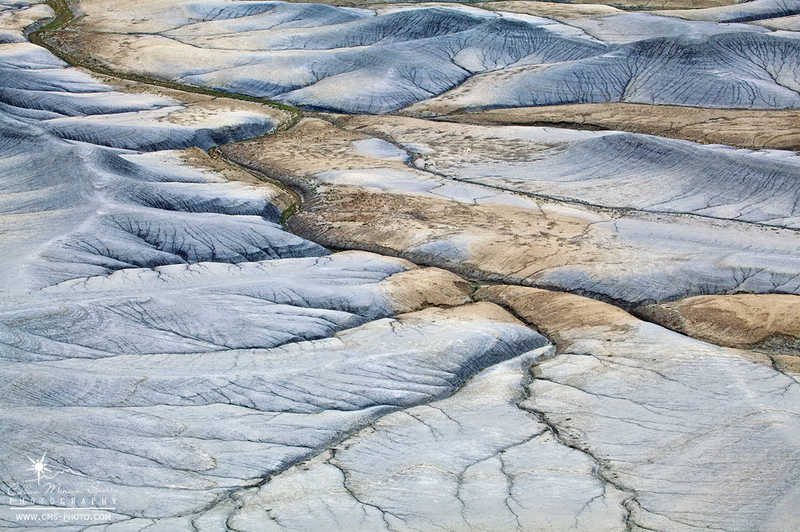 During my trip to the Henry Mountains, Guy and I decided to check out the badlands at much lower (hotter) elevations in hopes of getting a summer monsoon storm and dappled light. Instead we had mostly cloudy skies, but that did not stop me from falling in love with the area and seemingly endless compositions it offered. Toward the end of my summer trip to southern Utah, we stopped by Poison Springs Canyon and found some gorgeous tafoni along the canyon walls. 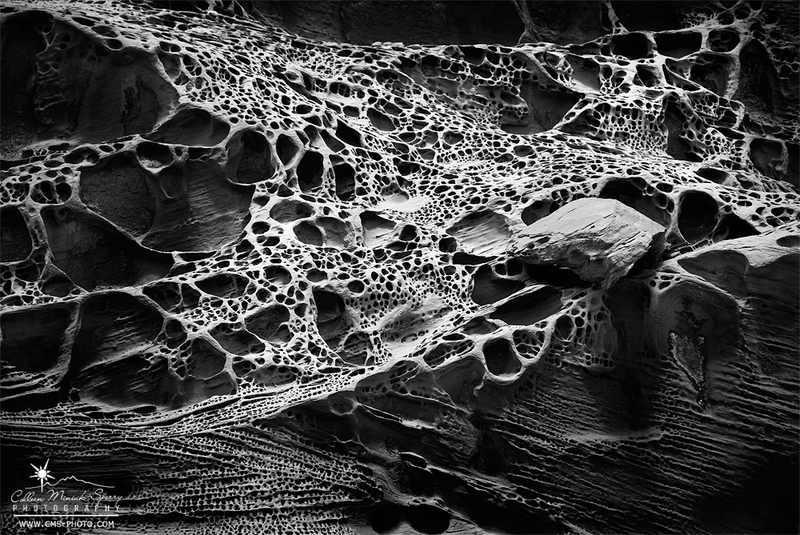 I converted this mid-day photograph to black and white to help emphasize the form, shape, and textures – the color wasn’t important to my message so I eliminated it. 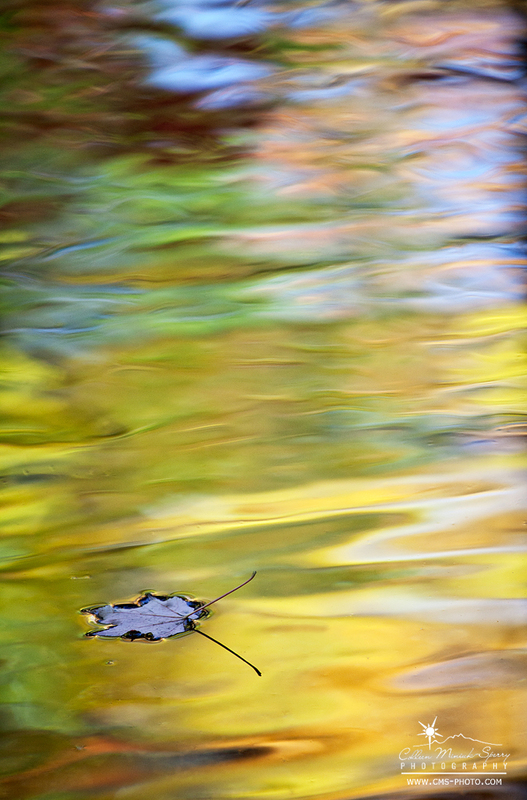 Due to warm weather and a lack of precipitation, autumn arrived to the coast of Maine almost two weeks later than normal. While waiting for fall colors (and my workshop group) to arrive, I visited some favorite old haunts, like Monument Cove. And when autumn finally arrived to the coastal park, it didn’t disappoint (it never does!). 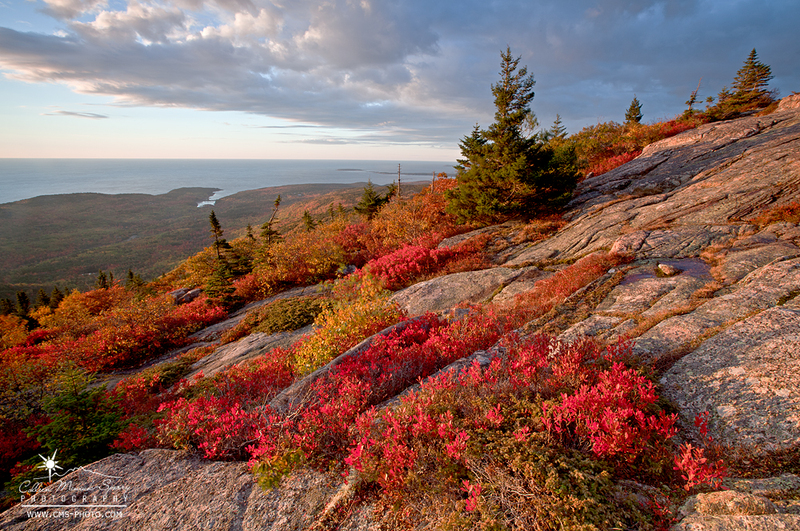 With the low sweet blueberry bush glowing its characteristic lip-stick red coat for fall, I headed to Cadilliac Mountain’s summit at sunrise to celebrate the season of change. 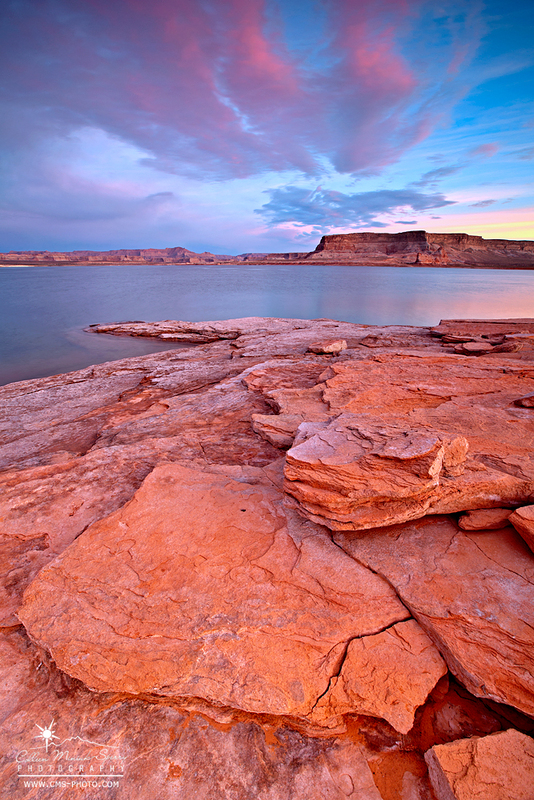 In preparation for our longer Lake Powell adventure, my Mom and I made a three-day trial run there in late October. You might believe the reason I made this image was because of the colors in the sky, and you’d be partially right. The primary reason I photographed here, though, is this is where my mom “cowboy camped” beneath the stars without a tent for the first time in her 64-years. I rolled over in my sleeping bag the next morning and snapped this image to commemorate this proud achievement! 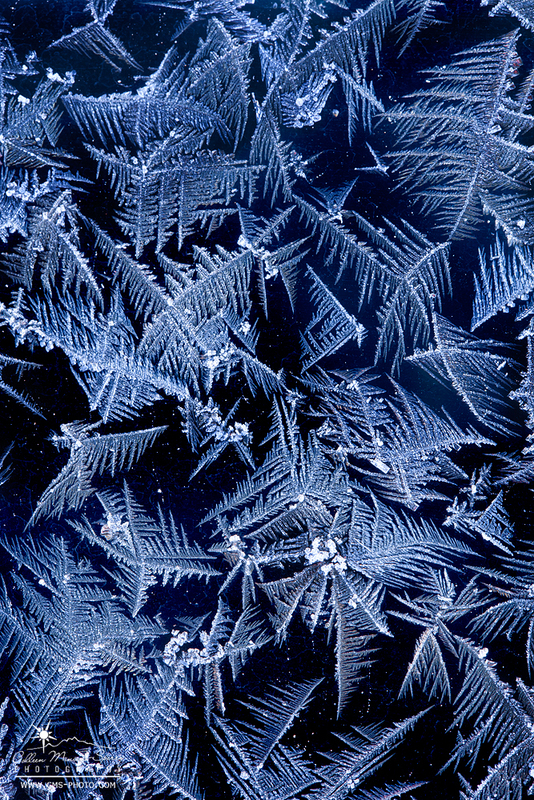 Photographing ice on my friend’s windshield reminded me that a personally meaningful photograph does not necessarily start with a beautiful location, but rather a photographer’s own observations, curiosity, appreciation, and confidence to visually express moments and experiences he/she deems important…even in the most unusual places. Needing some downtime to process the events from our paddle on Lake Powell and the entire year as a whole, I headed up to the Grand Staircase-Escalante National Monument to photograph ice in the canyons with my friend. 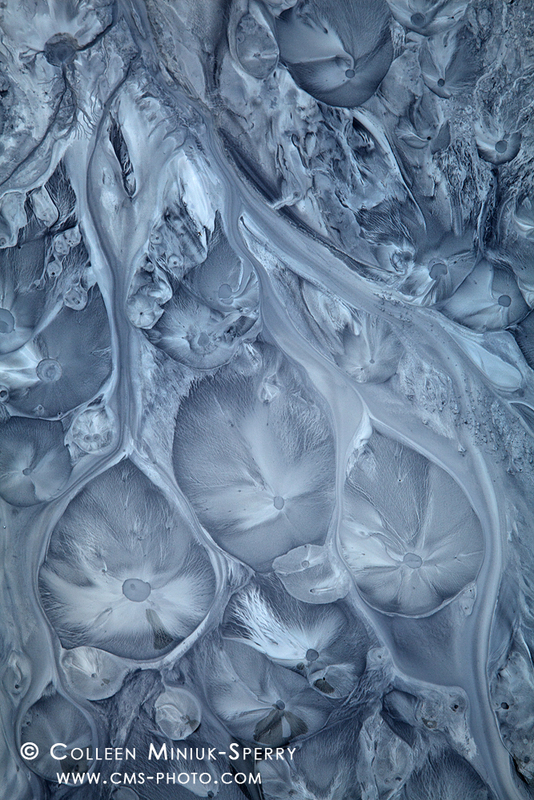 While we found plenty of ice, we also found beautiful iridescent biofilm floating on the creeks’ slow moving surface, which led to the creation of my final image of 2015. Cold enough to build a fire. Into your weathered and weary flesh. To your life of rapture. So what’s on tap for 2016? I learned a whole lot about myself this year – as one often does when hardship shows up on your doorstep unexpectedly. Among many other things, I determined I’m not a photographer who likes to write, but rather a writer who loves to photograph. Also, my passion for helping others enjoy the Great Outdoors only continues to intensify. To blend those two realizations together, I am adjusting my priorities slightly to focus on some super exciting new adventures and writing/book projects. Stay tuned for more! As we kick off 2016, I remain very grateful to you for your continued support, encouragement, friendship, and laughs through it all as allows me to continue to grow as a human being, live an incredibly fulfilling life, and keep pursuing my dreams. So thank you! Cheers to you for a bright and joyful new year! As Eleanor Roosevelt’s quote above encourages, I hope you live 2016, “taste it, experience to the utmost, to reach out eagerly and without fear for newer and richer experiences.” And of course, keep shooting! I am so glad I met you. You inspire me. Your zest for life brings a smile to my face. I love how you take life events, good and…not so good, and make them work for you. I believe we are all nothing more than the sum of our experiences and what we learn or take away from them. I look forward to hanging out again with you soon. Here’s to an experience filled 2016!! Hi Vicki! Your wonderful comments have absolutely made my day. Thank you for being an important part of my wild year. I so appreciate your friendship, advice, and support. And your outrageous humor and YOUR zest for life. (Running on the beach in OR was the greatest, wasn’t it?!) Can’t wait to see you again soon. Cheers to many more memorable experiences this year and for all the years ahead! I love the diversity in this collection of photos. 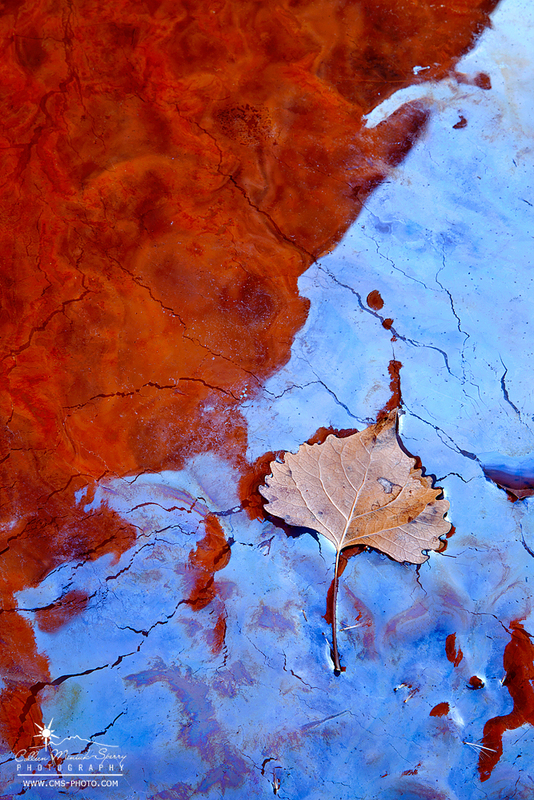 It shows off your approach to creativity and photography quite well! Cheers for a good 2016 – sounds like you already have some exciting things in the works. That is a beautiful and varied collection of images Colleen!